Here’s a little micromix of of my new album. It has snippets of all the songs in the Bandcamp-version of Shirbum. If you decide to also get the shirt, you’ll get 8 more songs. It’s the Shirbum way! Me and the robot will be in New Zealand 26 April to 8 May, and Hong Kong 9 May to 15 May. In New Zealand I will partner up with Josh Bailey and his excellent Tesla Coil synthesizer, Chime Red. So if you (or someone you know) wants to set something up, don’t be shy. As some of you may have noticed, this site has had an extreme make-over for a while now with huge help from Spot/Up Rough. It’s still under construction, but I think I finally have a website that makes some sense. 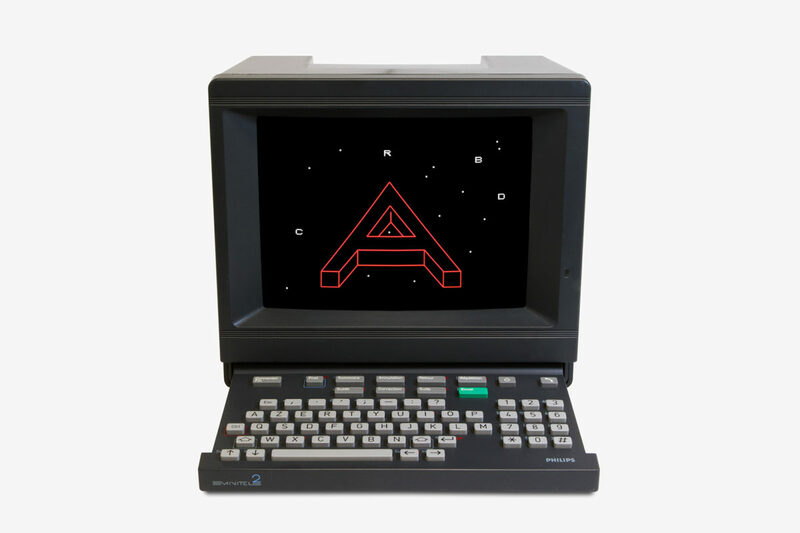 I really liked the previous awarded PETSCII site (by Raquel Meyers) but it was made in 2011 and it has run its course. So, enjoy the modern internet experience! This is the first page of the site from 2002 that works a bit so-so nowadays. It almost looks like a crappy version of the synthwave aesthetics of today?? Hm. 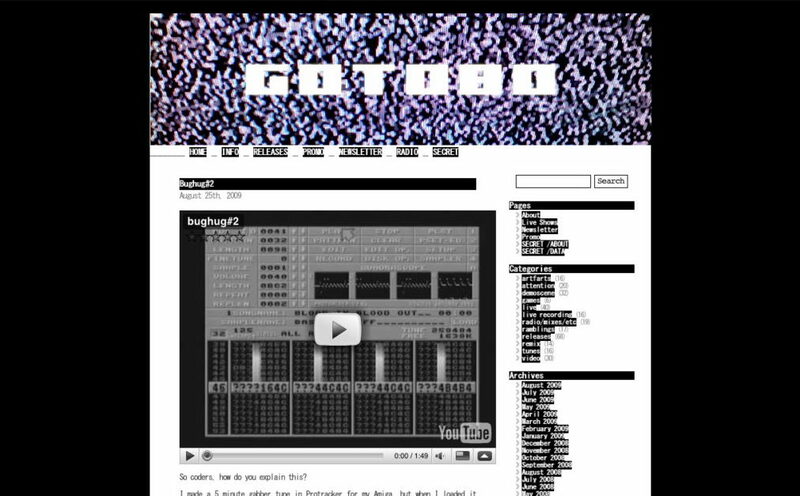 Well, this one was at goto8o.boprecords.net iirc. 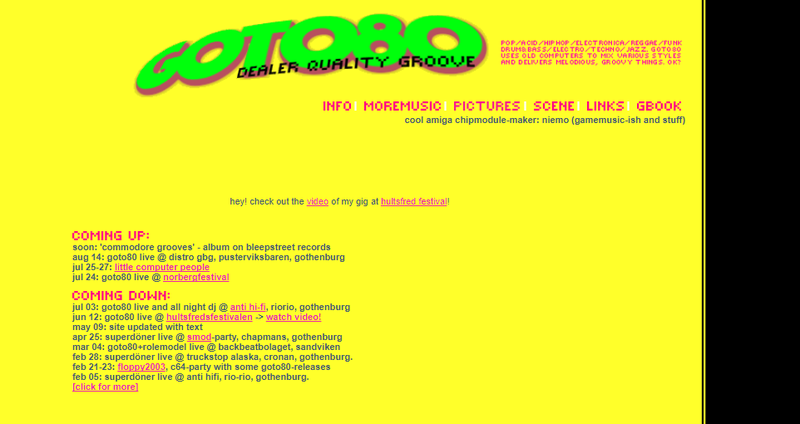 For this yellow 2004 site, I registered a subdomain at a pr0n site: goto80.myhardman.com. When I left that domain, it stayed alive for many years with absurd generated stuff combining Z80-processors and gay pr0n. Entter’s 2005 site was based on the Fantasy-video and had a long and healthy life. It’s good to have the decrunching rasterlines back on the site now! In 2008, the site became a WordPress blog and I spent plenty of time to get as much history as possible into the archives. You know that you can go back to 1993 in this blog still, right? No? Ok. After a while I got tired of the standard WordPress look, and I tried to make something GIF-freaky in 2010 but finally decided to go for something else. This design from 2011 was made by Raquel Meyers. Beyond the landing page it was a side-scrolling WordPress blog and I was perhaps the only one who found it to be a perfectly reasonable internet cyber site. Now, with the 2017-redesign, I think more people can appreciate this place. And I guess that’s good? I’ve also fixed a lot of linkrot (since the blog part has been around since 2008). I fixed no less than 320 dead links. which was a good reminder of the short memory of the internet. I’ve replaced the dead links with Wayback Machine backups where possible, but lots of releases and recordings and art works seem to be lost forever. 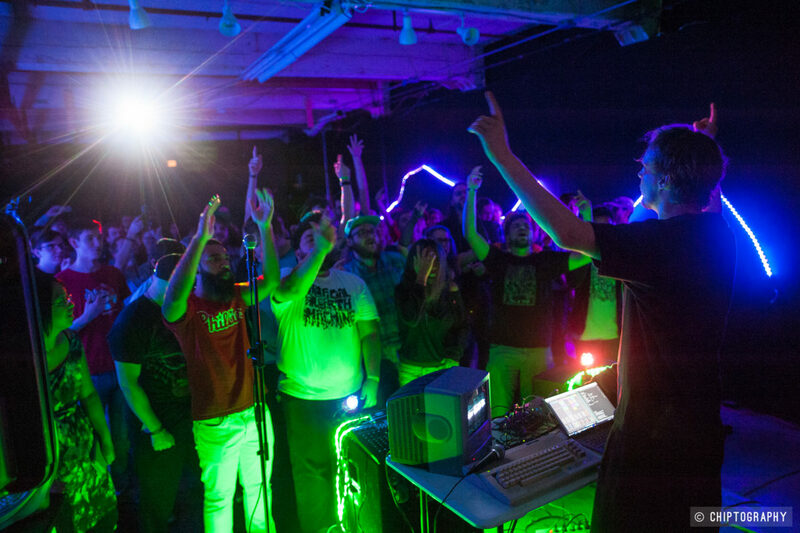 It was during this process that I decided to make some of the lost releases available at this new Bandcamp page that I didn’t tell anyone about yet. This is the 640th post on here. Next milestone is 1024 posts. 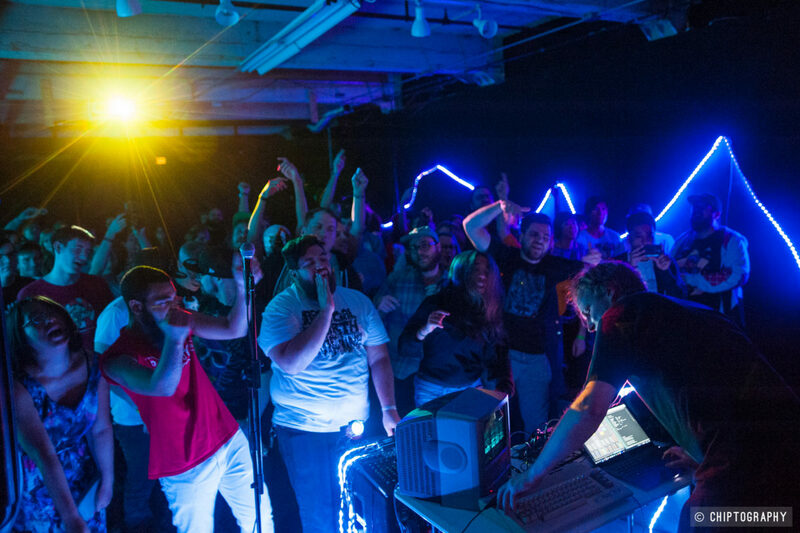 DATASTORM is one of the best 8-bit demoparties around, and this year I’m helping out with the organization. We’ve got some pretty major plans that will be revealed soon enough. But for now I can say that it will be twice as big, with a huge tent outside for concerts, screenings, DJ-sets, drinks, food, etcetera. The inside area will be for more focused on, you know, actually doing all that computer stuff. 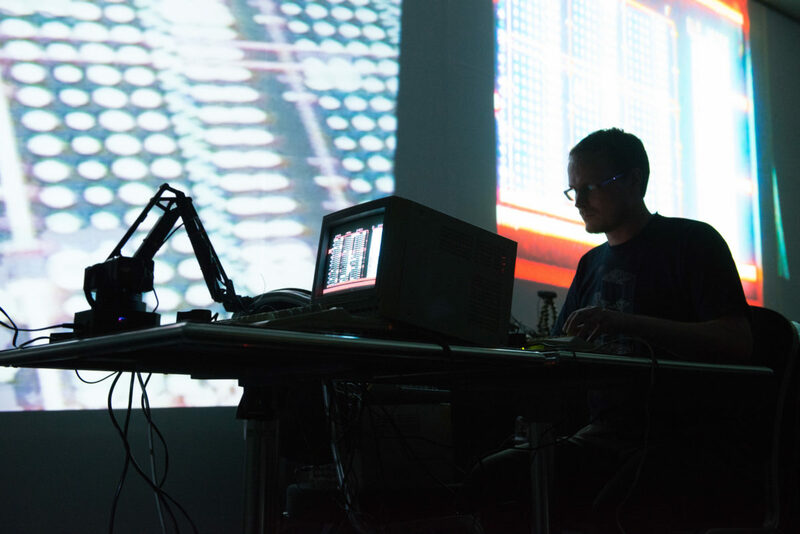 And there’ll be talks from some pretty amazing old hackers and crackers. Yep yep! 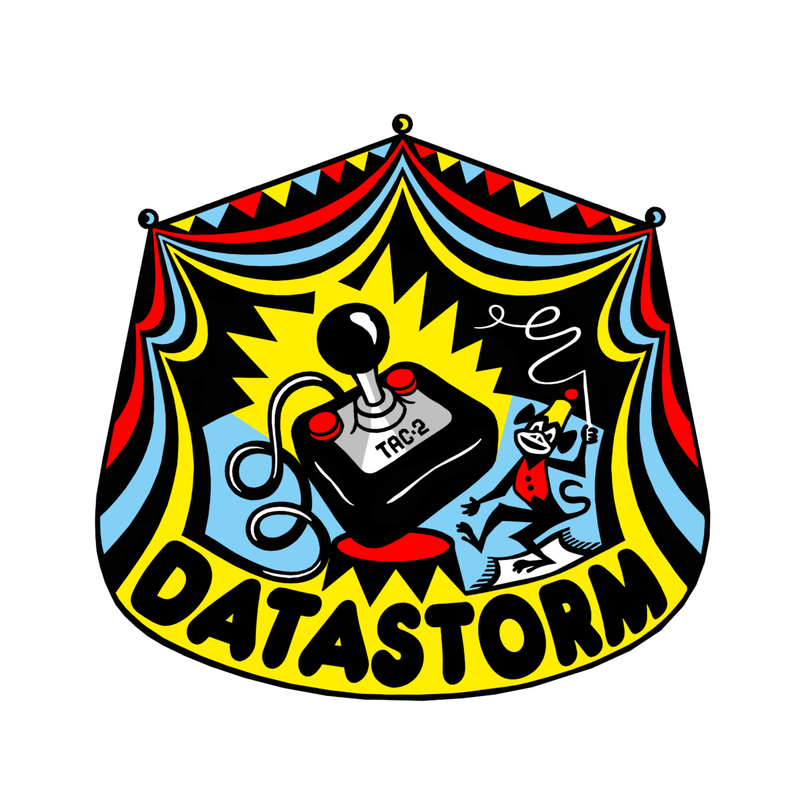 DATASTORM is in Göteborg, Sweden 1-3 September. Don’t miss out! 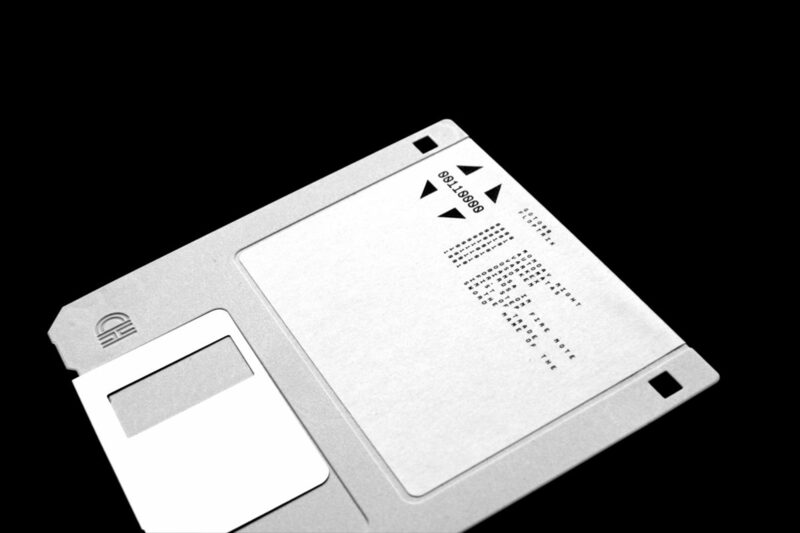 My next release is Floptrik, which will be out on 3.5″ floppy and Bandcamp, published by the great electro label CPU Records. It includes 10 songs, and the floppy contains eternal remixes for 5 of the songs, and visuals for the other ones. Here’s one of those visuals: Fist of Trade with PETSCII-animations by Raquel Meyers (first released here). Marjorie Becker (aka Chiptography) took some photos at 8static fest. Good times, with crazy singalong actionz to heal the wounds. For those who don’t know, Marjorie has a very impressive collection of photos from chip-related events. 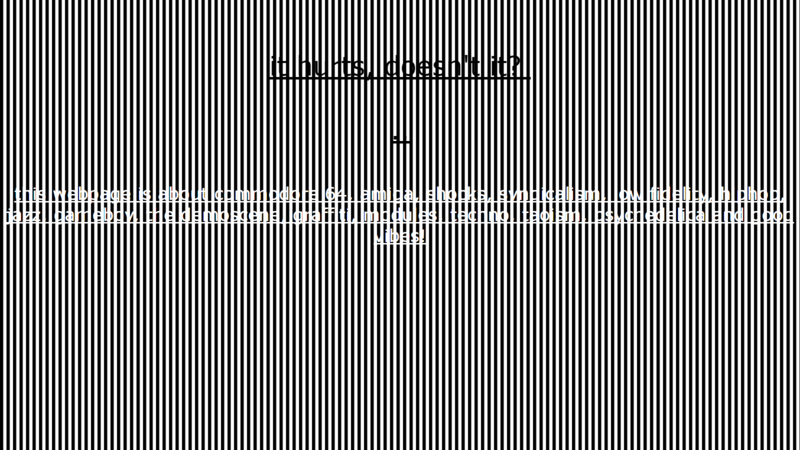 I wrote a text for Rhizome’s Net Art Anthology. 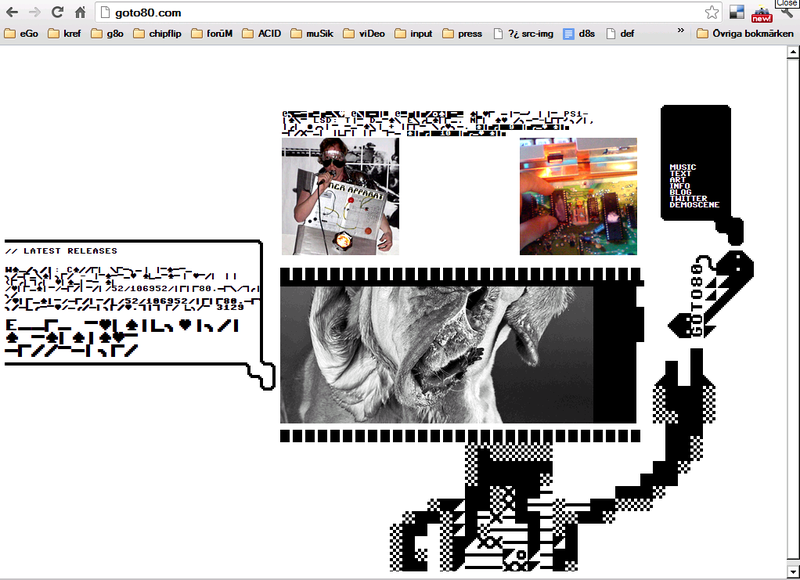 It’s an online exhibition that just started, and will go on for two years to show old and new net art. I was asked to write about Reabracadabra, made by Eduardo Kac in 1985. It’s made for videotex, an early network technology sort of like a two-way teletext that was successful pretty much only in France, with the Minitel. 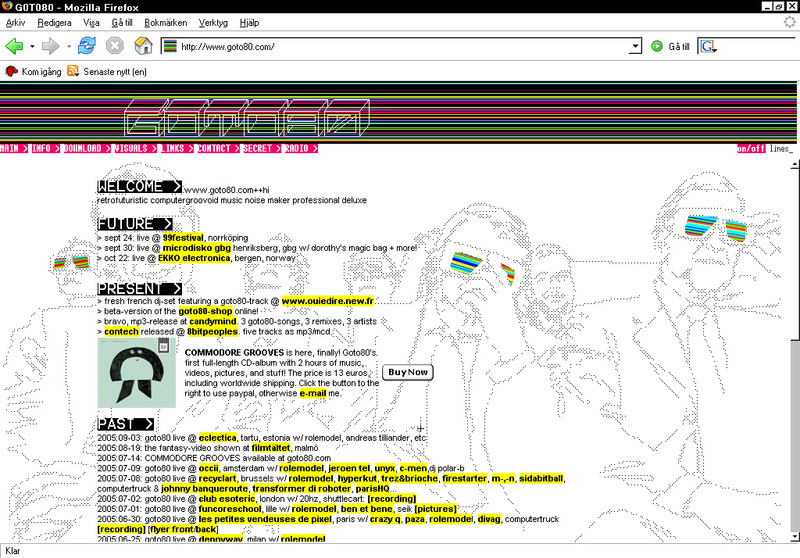 It’s a fascinating (and forgotten) technology, and I’m glad Rhizome helps to bring this forth. I for one am going to keep on digging into the videotex world at t3xtm0.de if not somewhere else.